Portland-based Insurance Consulting Services provides consulting services and products to help people plan for long-term care, life insurance and disability. 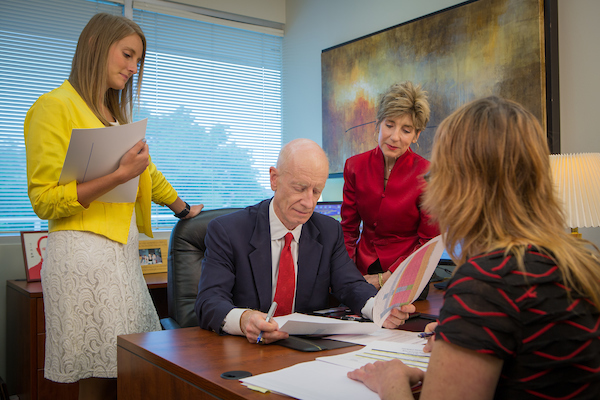 I have learned that there’s a kind of magic that we provide our clients—peace of mind, freedom to live life without worry, an understanding that they have a sound long-term financial plan that will support their family. 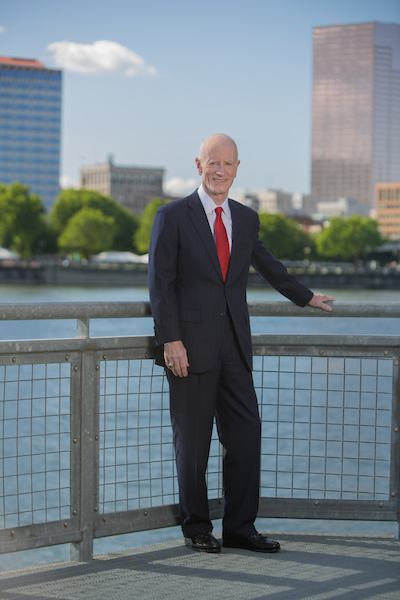 Veteran Portland financial services professional Jim Pittman, founder and president of Insurance Consulting Services (ICS), has been selected to serve as President of the prestigious Million Dollar Round Table (MDRT). As President, he represents the top life insurance and financial services professionals worldwide based on production, knowledge, client service and ethics. Pittman is also recognized as a Top of the Table Member placing him in the top 5% of all global MDRT members. As MDRT President, Pittman will work closely with the organization to maintain the association’s strict membership, professional, and ethical standards, as well as provide a unique mix of networking and resources to help members broaden their expertise, grow their businesses and educate clients about the importance of financial planning. Pittman’s new role leading MDRT aligns perfectly with his goals for his own company. As an insurance professional, to grow and serve people is most important. MDRT, which provides education, mentoring and insurance products globally to members, will take him worldwide. Pittman sees himself making an impact on a bigger stage but tantamount to the one at home—recognizing that in the insurance industry policies, tax laws, tools and products change but people don’t. Pittman enjoys a long list of clients and industry professionals who are quick to refer him for his deep expertise and integrity. As a member of the Society of Financial Services Professionals, Pittman is constantly studying and researching. He has been designated an expert in a number of categories in his efforts to stay current on industry services and products to keep his clients informed. In 2009, Pittman, who is one of a handful of Licensed Insurance Consultants in the State of Oregon, won the prestigious Bud Horn award from the Oregon Association of Insurance and Financial Planners. This award is presented periodically to a professional who has shown dedicated commitment and has made a significant positive impact on the insurance community. About Insurance Consulting Services, Inc.
Based in Portland, Oregon, Insurance Consulting Services, Inc. (ICS) is a recognized leader in life insurance, wealth transfer and estate planning, and business continuation for business owners and ultra-affluent individuals. ICS provides consulting services and products to help people plan for long-term care, life insurance and disability. ICS’s planning process focuses on continuous collaboration with all of the key advisors who work on their clients’ behalf to ensure successful, quality outcomes. As an Affiliate Firm of M Financial Group, ICS offers clients access to institutionally priced, proprietary insurance products that are not available through traditional retail or brokerage channels. For more information about Insurance Consulting Services, Inc., visit http://www.icspdx.com. For more information about M Financial Group, visit http://www.mfin.com. Portland-based Jim Pittman, Insurance Consulting Services, elected president to lead prestigious Million Dollar Round Table (MDRT). Jim Pittman is hailed also for leading the growing market for long-term care insurance Portland-based Insurance Consulting Services provides consulting services and products to help people plan for long-term care, life insurance and disability.